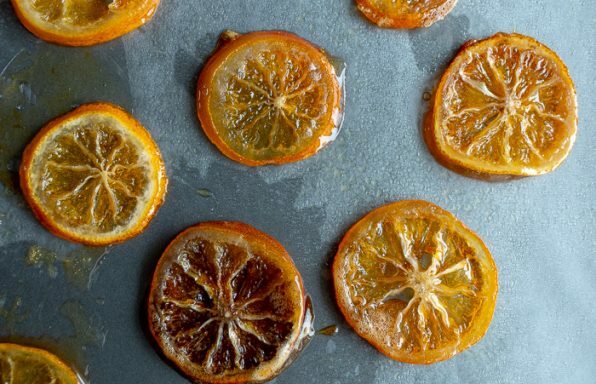 You are going to love this 3 ingredient dessert wonder. Matcha banana strawberry ice cream cups have a lovely soft serve ice-cream texture. It is very healthy as it is only made with frozen bananas, antioxidant rich matcha (green tea) and fresh California strawberries. There is no added sugar but just the slight sweetness from the fresh fruit. 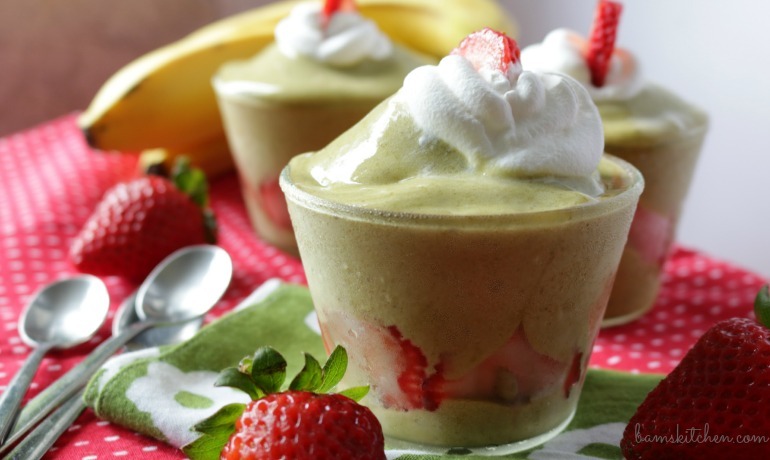 Delicious matcha banana and strawberry ice cream cups are dairy free, vegan, gluten-free, low-fat, cardiac friendly and can be used as carbohydrate points on a diabetic diet. 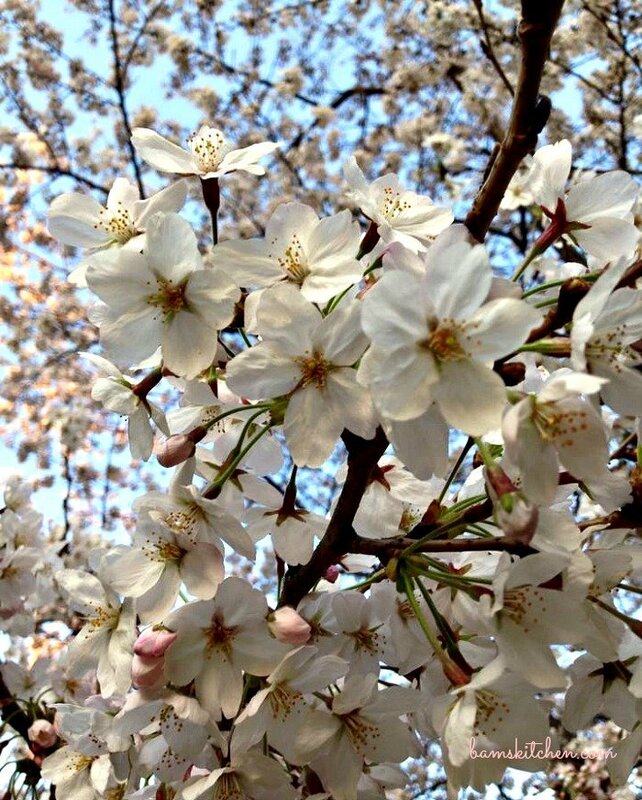 Welcome to Hanami the time of the year that the Japanese sakura cherry blossom flowers come into full bloom in Japan. It almost looks like it is snowing as the ground will be covered in white flower petals from the sakura. It is a magical time of the year as family and friends celebrate the coming of spring with picnics in the parks to enjoy the beautiful sakura. I miss the fragrant beauty of the parks in Japan and taking time to smell the flowers and enjoy sweet treats with family and friends. We used to live about a 5 minute walk from Negeishi Shirin Koen, a beautiful park, full of lovely sakura. In the rest of world it is not usual to take time out to smell the flowers as people are always coming and going and always in a rush. Hanami (celebration of the viewing of the sakura) is a cherished tradition in Japan that has been enjoyed for generations. I feel a little sentimental remembering the last walk through the park with my eldest son during hanami in Yokohama. I remember my son whining and complaining about having to go on this boring walk with mom through the park, when he had so much homework to do. I told him that this is your last chance to see this beautiful event as the next weekend all the sakura will be gone. He was memorized by the beauty and we spent at least an hour in the park, walking, taking photos and stopped along the way to enjoy a little treat. He still talks about it to this day as one of the most beautiful things he has ever seen and glad he took a moment out to "Stop and Smell the Sakura" or as the Japanese call it; Hanami. It is also the time of the year that I get a little more sentimental and miss my old home in Yokohama and my dear friends that are still there. 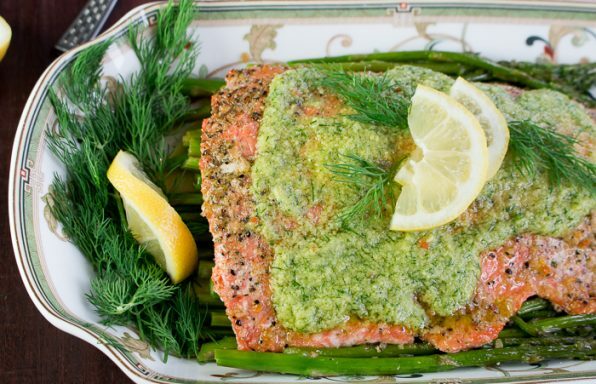 There is not better way to remember a place then through its food. 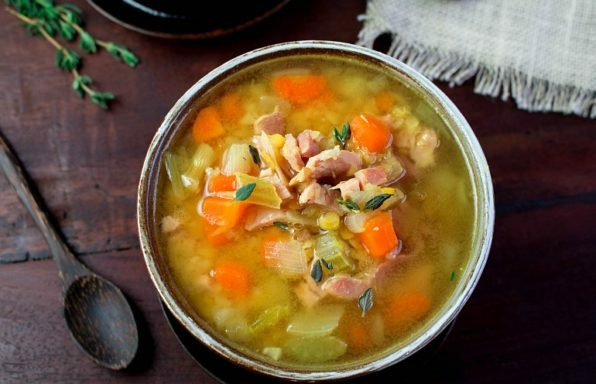 Did you know that food memories are the most strongest memory that you hold on to? 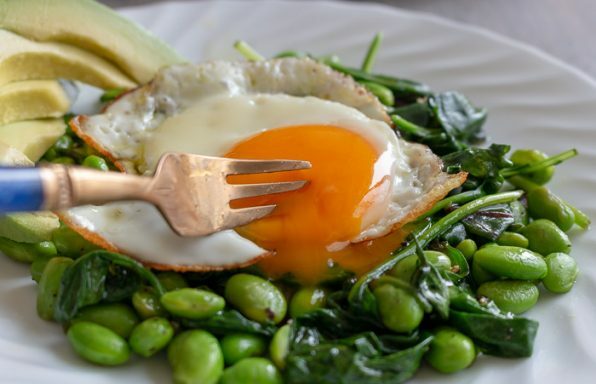 Scientists have studied this and say it is because you use so many senses to experience food. 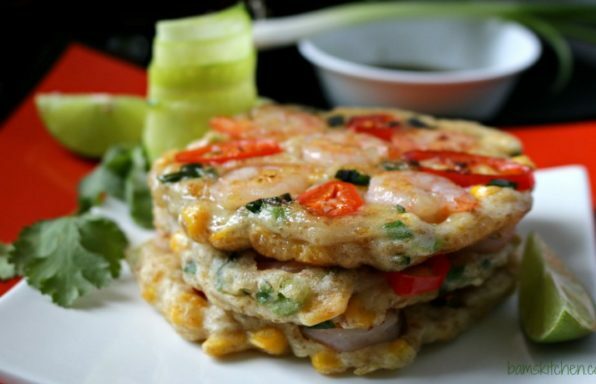 We use our sight to look at the food, next we smell the food, then we experience its taste and then texture. I miss the matcha green tea ice-cream sandwiches I used to get at the 711 in Japan. 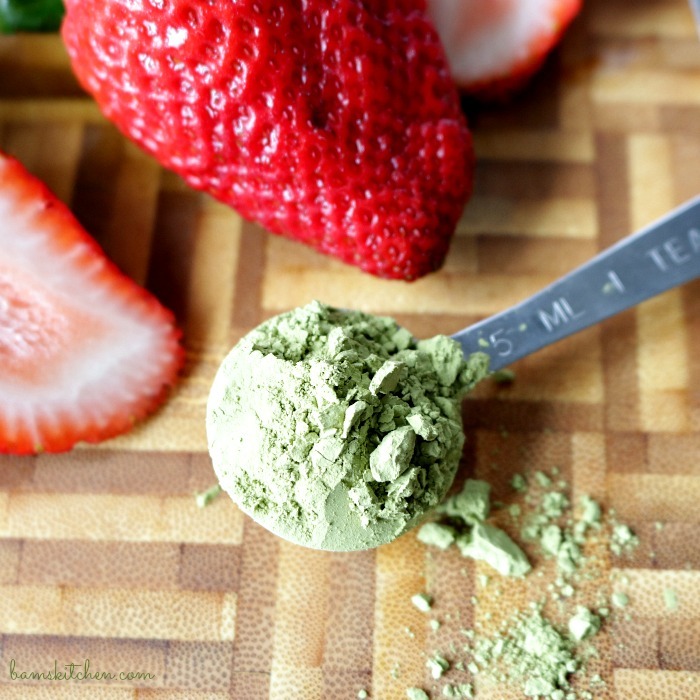 Matcha is powdered green tea and it is full of antioxidants and is delicious too. 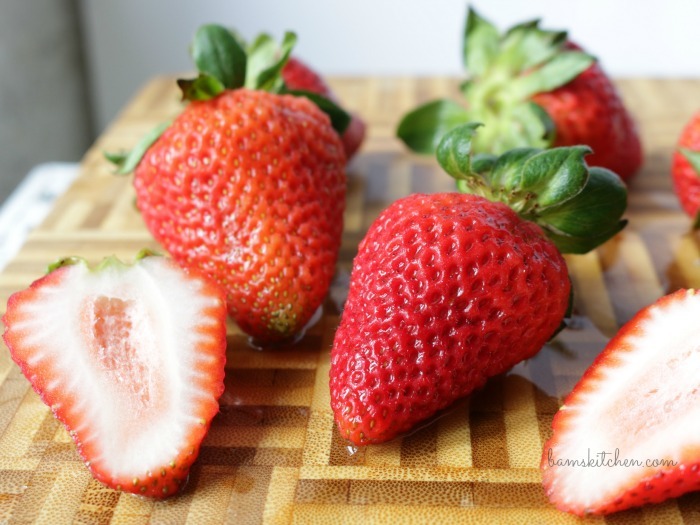 It is also the time of the year that the sweet and delightful strawberries from California are coming to the markets. 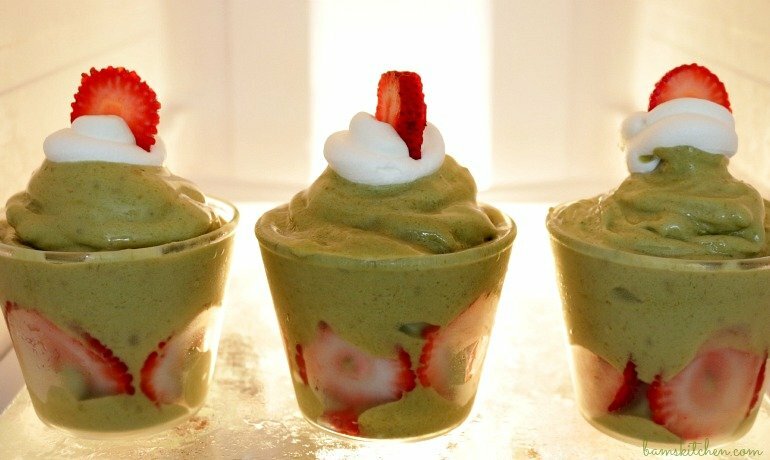 So I decided to take 2 of my loves and combine them together for a delightful and healthy treat that you can make in a flash...Matcha Banana and Strawberry Ice Cream Cups. Do you ever get craving for something sweet and cold like ice-cream but are lactose intolerant? I do all the time and yes believe it or not you just can't find lactose free ice cream in Hong Kong. If you have a craving for something sweet, cold and creamy, you can have this problem rectified with help of your handy-dandy food processor. Do you remember my post Red White and Blue Healthy Sorbets? I made this delicious Matcha Banana and Strawberry Ice Cream Cups with the same concept using my food processor. When you use your food processor to whip up your bananas it first turns into tiny little granules of micro bananas. Then after you add just a couple of teaspoons of water and keep the food processor going and intermittently brushing down the sides of the food processor something amazing happens. 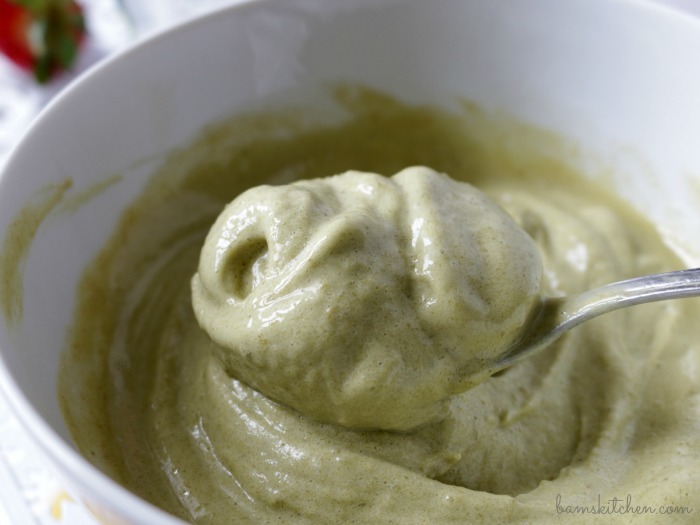 It turns your matcha and frozen bananas from a dark green to a light green and fluffy soft serve ice cream. Just purely delicious and guilt free. By all means you do not have to use matcha, green tea, as it is delicious all by its self with just plain whipped bananas. You can even add a tablespoon of unsweetened cocoa powder if you like a rich chocolate ice cream. I wanted to make my matcha banana strawberry cups to feel a little more indulgent so I just whipped a little coconut cream and made myself and delicious dairy free topping. All you need to do is to skim off the fat portion of the coconut cream that floats on the top of the can and blend it and "Ta Da" you have coconut whipped topping. 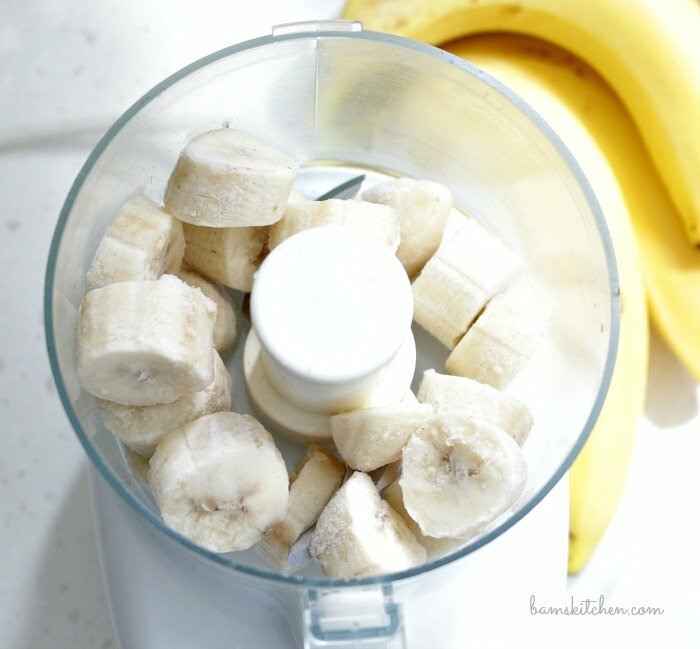 I have even completed this ice cream making process with bananas in the blender. It is not as efficient as a food processor but it can also work, it just takes a little bit longer. 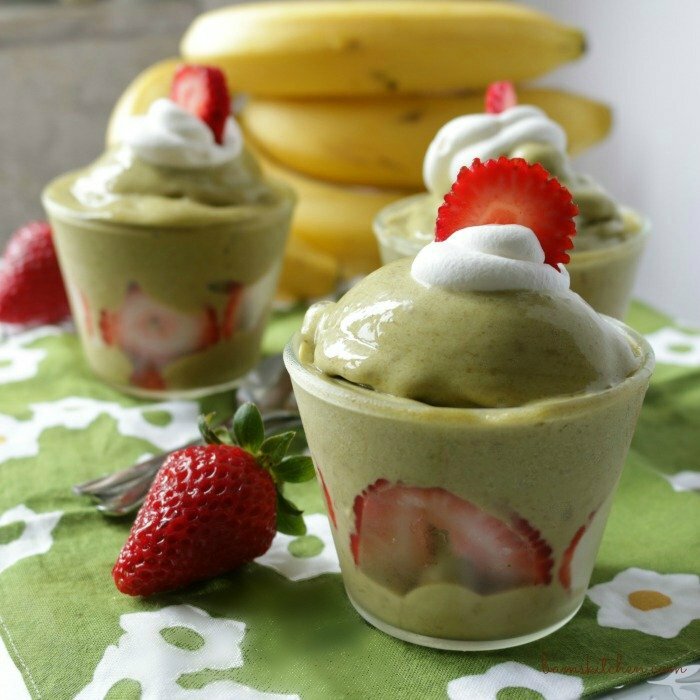 Enjoy these lovely Matcha banana strawberry ice-cream cups as a delicious and guilt free dessert any time you get a craving for something healthy and sweet. 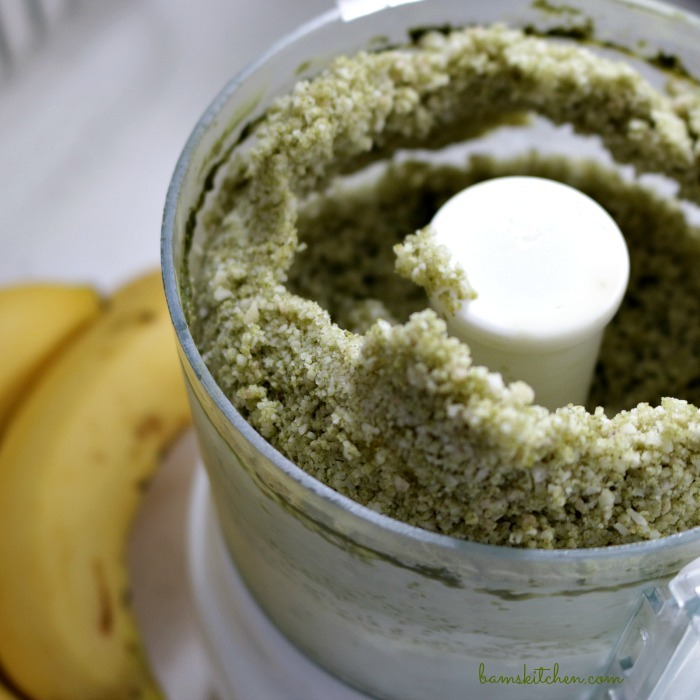 22) Place frozen sliced bananas in the food processor (I have a very small food processor so I did only 2 bananas and 1 teaspoon of matcha green tea in 3 different batches, but if you have a large food processor you can do it all in one batch) Add matcha green tea to the frozen banana slices and pulse until it looks like finely ground sand. Scrape down the sides as needed. 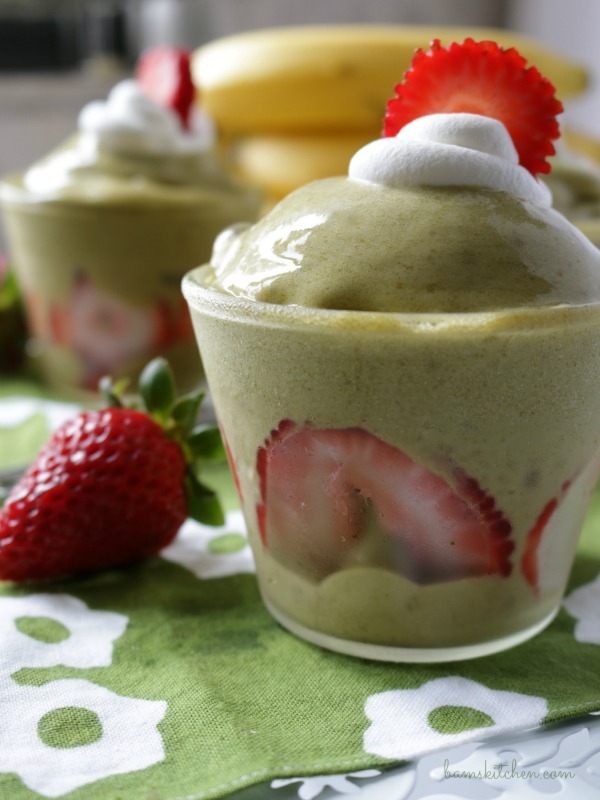 43) Immediately scoop the matcha banana ice-cream on top of your strawberries and fill the cup. 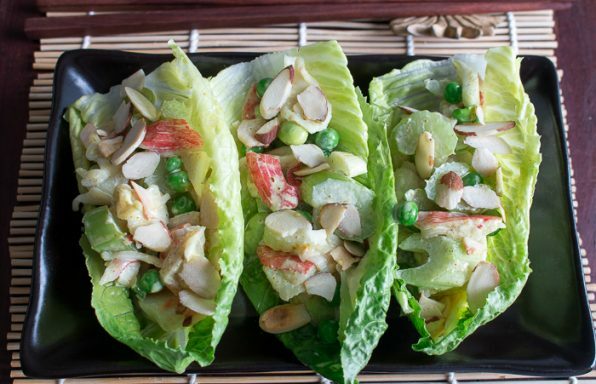 Garnish with coconut whipped cream or non-dairy whipped topping. Enjoy! 5The matcha banana ice-cream melts quickly. If you freeze your matcha banana ice-cream in the cup, it turns more icy and less creamy, so best enjoyed right away.